"To me, being an attorney at Freeborn is not just about handling the task at hand for a client, but also looking at how I can take care of their needs going forward, both from a litigation and business perspective." 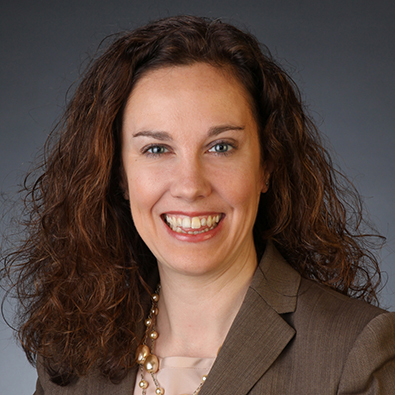 Kathy Ehrhart is a Partner in the Litigation Practice Group and member of the Insurance/Reinsurance Team. Kathy has acted as trial and appellate counsel in arbitrations and litigations in federal and state courts throughout the United States, representing a variety of corporations, business and professional firms. Her areas of focus include complex commercial and class action, reinsurance, antitrust, securities fraud, accountant liability, employment and breach of contract claims. She has extensive experience working with executives, senior management and in-house counsel of corporations in managing litigation as well as advising on litigation risks and strategy. Before joining Freeborn, Kathy was a Partner at Kirkland & Ellis LLP focusing on similar matters. Represented a German reinsurer in an arbitration against a U.S. insurer where the client raised breach of contract claims as well as breaches of the duty of utmost good faith. In a unanimous decision, the panel found for our client, awarding it over $15 million in compensatory damages plus 6.5% compound interest and $1 million in punitive damages. The award was confirmed by a federal court. AXA Versicherung AG v. New Hampshire Insurance Co. et al, (S.D.N.Y). "Policing the Workforce and Litigating Employment cases in the High Tech Era of Social Networking, Blogging and Texting," Chicago Bar Association, Labor and Employment Law Committee. Speaker, "Head Injuries and Sports: Emerging Claims Issues," AIRROC Membership Meeting (March 2013). Freeborn secured another major victory for its client Brown & Brown, Inc., against AssuredPartners Inc. (AP) in a lawsuit over violations of the restrictive covenants of former Brown & Brown employees hired by AP. Freeborn & Peters LLP is pleased to announce the latest in a string of victories for its client Brown & Brown, Inc. (NYSE: BRO), an independent insurance intermediary. Freeborn & Peters LLP is pleased to announce the latest in a string of victories for its client Brown & Brown, Inc. (NYSE: BRO), an independent insurance intermediary, against AssuredPartners Inc. (AP) in a lawsuit over violations of the restrictive covenants of former Brown & Brown employees hired by AP. Katheleen A. Ehrhart is quoted in the article “Brokerage Prevails on Restrictive Agreements” published Nov. 2, 2016, by Risk & Insurance magazine.